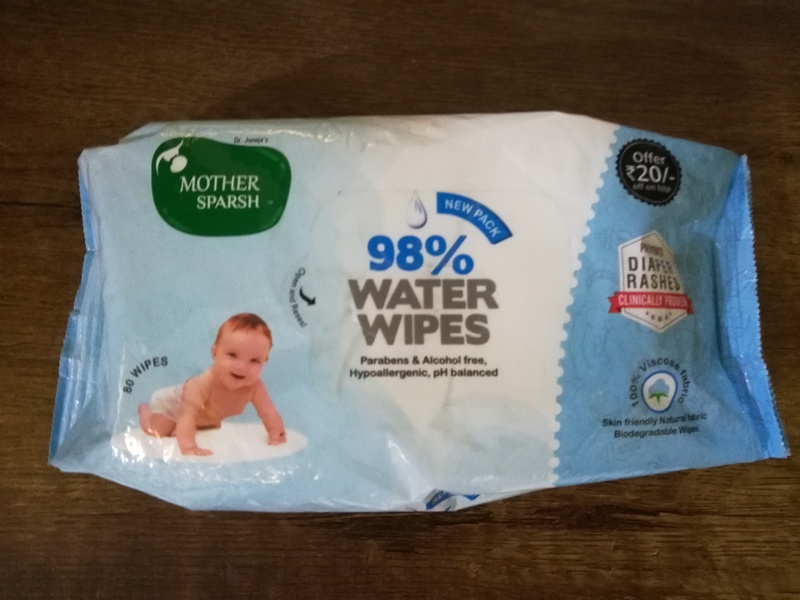 Why Mother Sparsh Wet Wipes are better than ordinary Wipes? While taking care of the baby, a mother has to also look after the aspect of hygiene. Diapering is not always sufficient for the hygiene of the newborn. Every time a diaper is changed, babies experience vulnerability on their skin, dryness and sometimes even skin rashes if the area is not cleaned sufficiently. For avoiding any fungal or bacterial infection, cleaning is mandatory. But, water is not the easiest option and this is where wet wipes come very handy. Choosing a wipe must be made with utmost care as the baby skin is really very delicate. Here are some reason to choose Mother Sparsh Wipes. • Multi-use – Mother Sparsh wet wipes can be used both by the mother and her baby. It is made from 100% planted cotton comprising 98% water. This is smooth and gentle for all skins and hence used by a majority of mothers for their babies. • Water content – A 98% water concentration ensures that the cleaning is being made with water only. Perhaps this is why they are popularly known as wet wipes. • Vitamin E and Organic Aloe Vera– Mothers Sparsh wet wipes comprise of Vitamin E and organic Aloe vera. This adds natural moisturizing of the skin as one uses it either to remove makeups or to use clean the skin of a baby. 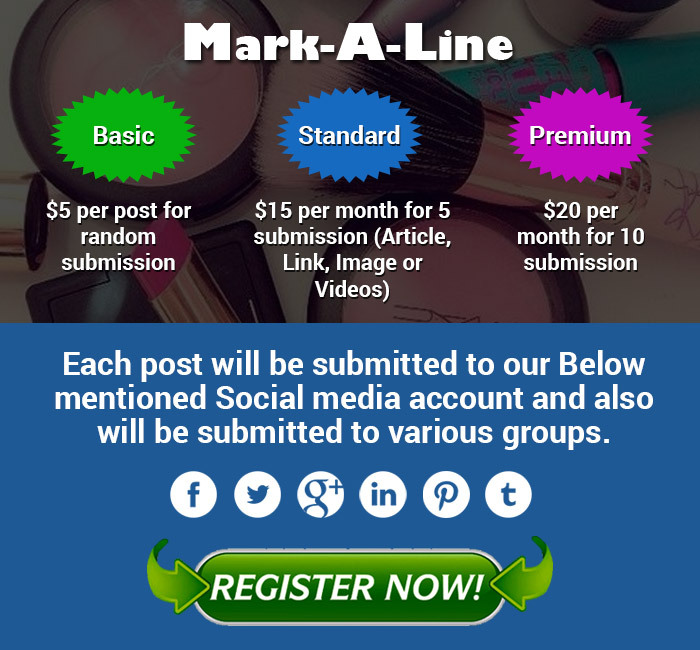 • Parabens can be avoided – This is a preservative chemical used by most cosmetic products. Although it is claimed that it is made up of substances which are non-irritating in nature, it does sometimes develop rash, skin allergies or dermatitis. Exposing products having parabens in the sun can also cause aging of skin or DNA damage. 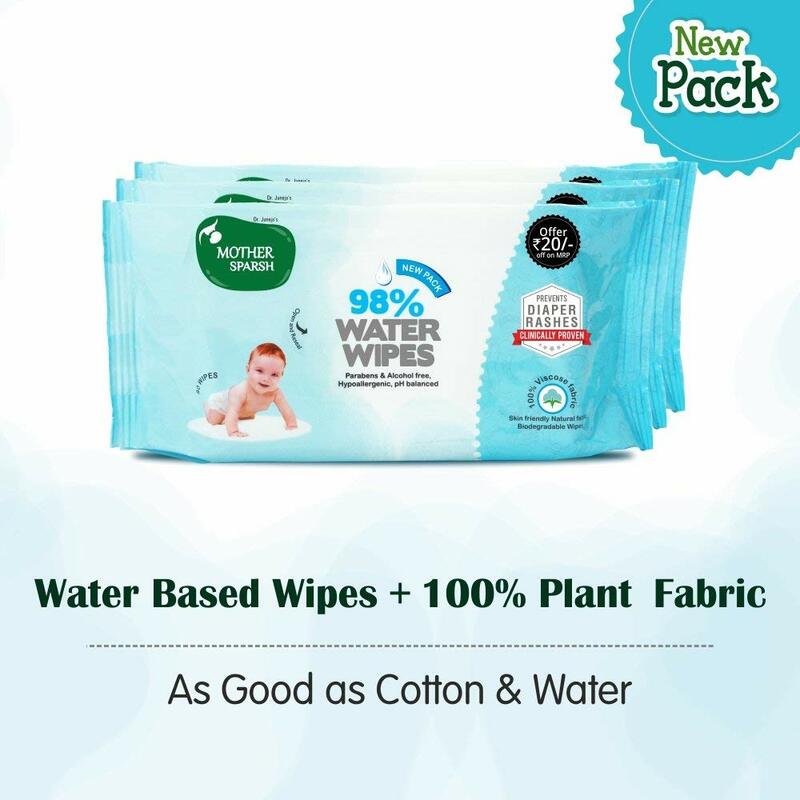 Mothers Sparsh wet wipes are parabens free product and can be used safely. • Avoidance of alcohol – One of the cheap way germs are killed is alcohol inside products. But the skin of a baby is ultra sensitive. Alcohol is a big no for any baby product and these wipes only can assure being free from any alcohol content. • Hypoallergenic– Over and over the Mothers Sparsh wet wipes are tested to ensure whether they are safe for use on a baby’s skin. It has been found that they do not cause any allergies on the skin. • pH Balance product – Using normal soap or even water at times disrupts the pH balance of the skin. This can have its negative impact even on a baby skin. The Mothers Sparsh wet wipes do not make any changes to the pH balance of the skin and hence can be used safely and without any hesitations. which is possible if one uses water-based wipes in place of dry ones. • Biodegradable– Pure cotton is biodegradable in nature. It is most safe for the skin of a little baby. This 100% plant-based baby assures both safety and hygiene. 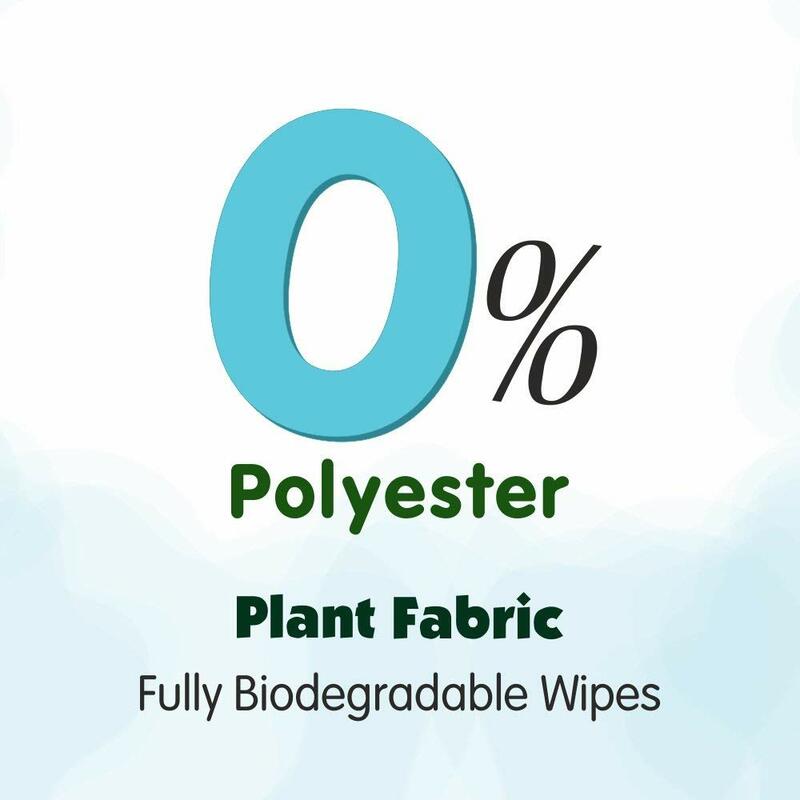 • Eco-friendly – Since the Mothers Sparsh baby wet wipes are biodegradable in nature one can feel proud to use it and yet not make any addition of plastic on the planet. It is a responsible use of a product which takes care of the baby. Time has come to say goodbye to rashes and dryness. Water-based hypoallergenic Mother Sparsh wet wipes can be the trusted companion of a mother for long and it is clinically proven water wipes. It is as good as Cotton & Water. It is a mother’s assurance to always protect the loving giggle and smile of the baby.